Approximately 70-90% of Australians will suffer from low back pain at some point in their lives, with 1/6 people currently struggling with low back issues. Neck pain is equally prevalent, especially those in office and computer based occupations. They’re so common, we treat back and neck pain sufferers on a daily basis! In an acute setting, we focus on getting you pain free and comfortable. Once your symptoms are under control, exercise is key to regain full function and prevent recurrence. Education as to why the problem presented in the first place and self-management strategies to prevent recurrence are also a staple part of our treatment sessions. As back and neck pain are influenced by a multitude of factors, the Thrive Physio Plus team will be sure to implement a holistic approach. This includes examining areas such as posture, sleep, mental stressors, work ergonomics and current sports or exercise routines. 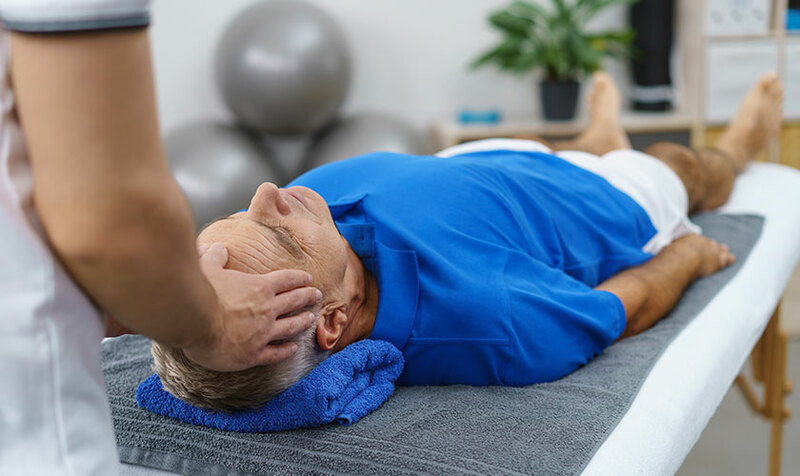 In conjunction with getting you strong and mobile to assist in your recovery and prevent re-injury, the Thrive Physio Plus also has therapists highly skilled in the McKenzie Method of spinal assessment and management. The McKenzie method is a philosophy for the assessment and management of back and neck pain, and is used clinicians and clients worldwide. This approach remains one of the most researched Physiotherapy based techniques available. It is a safe and reliable way to diagnose spinal pain, and empowers you to learn the skills to manage your symptoms independently. These skills, when applied properly, will alleviate pain and prevent recurrence when used over the longer term. It’s a great method to help you regain control of your life and provide you with the tools necessary to help yourself!